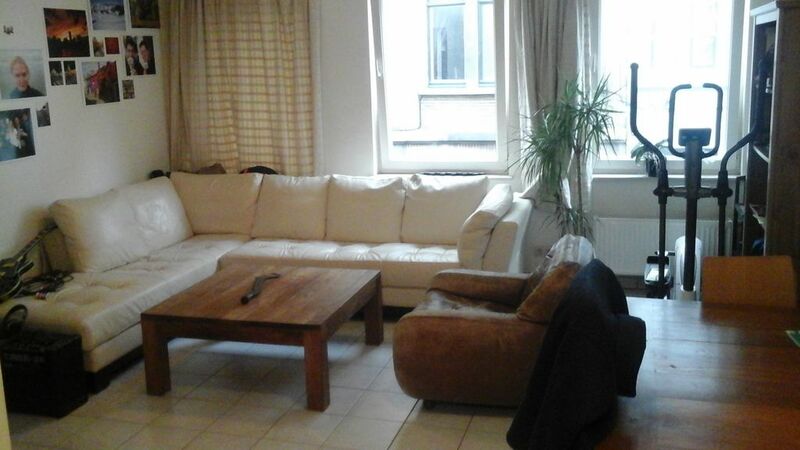 A cozy modern apartment with a single bedroom, located a few minutes from the historic city center. The bedroom consists of a king size bed and an open and closed wardrobe. The two windows overlook a beautiful garden. The bathroom consists of a walk-in shower, a toilet and a single sink. A towel radiator ensures a pleasant warmth. There is no washing machine or dryer. The kitchen has a four-part gas fire, oven, fridge with freezer compartment, a spacious work surface and a sink. No dishwasher. The living space consists of a spacious corner seat made of white leather that is very comfortable, a large wooden coffee table and a large, round folding camping chair. A sideboard, large computer table and a small dining table finally complete the room. A 10-minute walk from the historic center, located in a quiet area but close to cafés and restaurants. Tram stop around the corner.